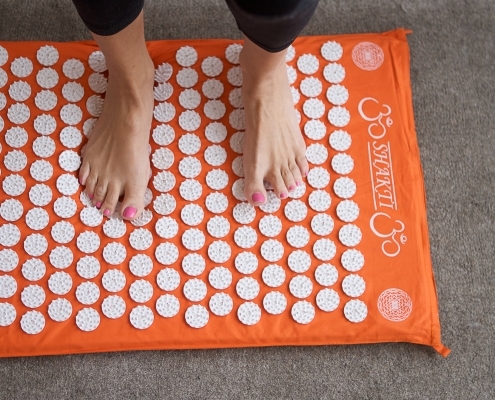 Shakti Mats, a portable “bed of nails” which has become a phenomenon that has converted thousands of people across the globe of all ages to use them daily to improve overall health and wellbeing. 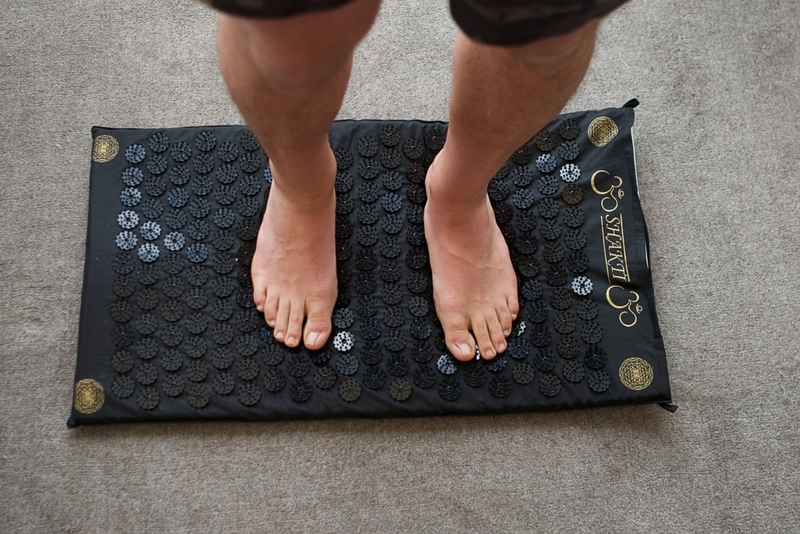 Shakti Mat, a portable “bed of nails” has been a life-altering discovery for childhood friends Jon Heslop and George Lill, both 24, sending them around the world and into careers as successful entrepreneurs. 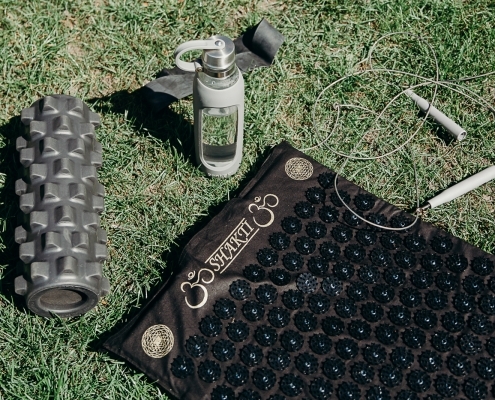 The Shakti Acupressure Mat ($69 RRP) comprises of a foam mat covered in an ethically made organic cotton sleeve studded with 6,000 non-toxic, recyclable plastic spikes. 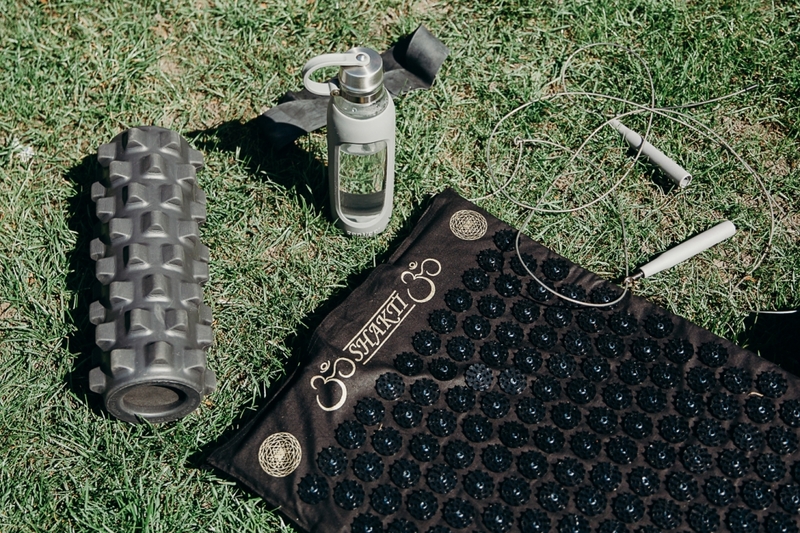 Designed to mimic a bed of nails, the Shakti Mat has been touted as a natural health tool to support blood circulation, energy levels, improve sleep, relax muscles and stimulate pressure points in the body. 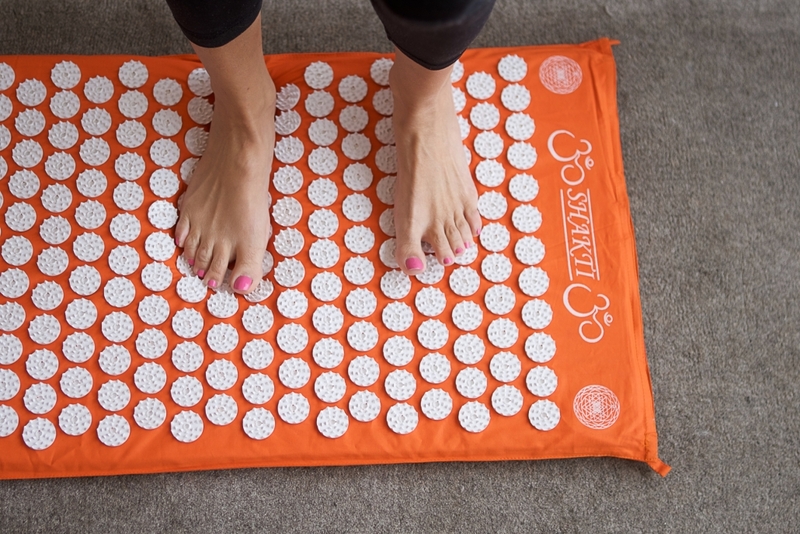 It’s a simple but effective modern-day health tool based on the Indian ancient practice of lying on a bed of nails and the concept of acupressure therapy. 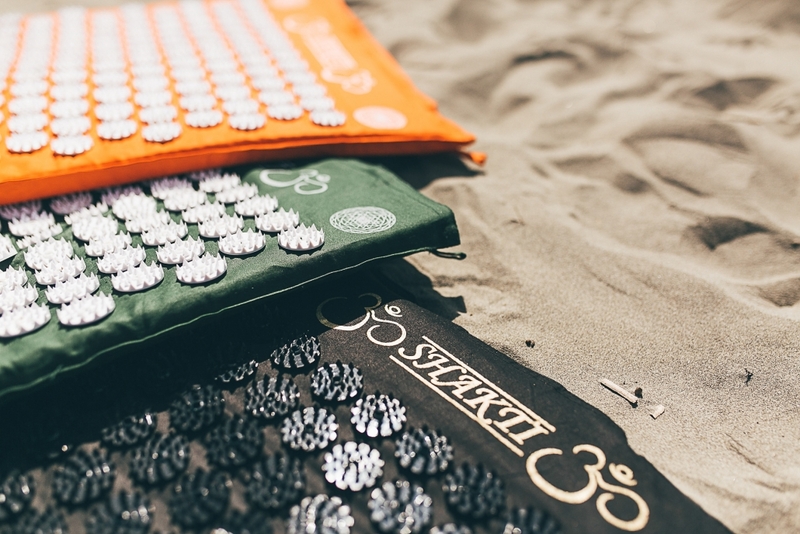 In an age where many people are becoming increasingly receptive to alternative health solutions, the Shakti Mat has become a phenomenon that has converted hundreds of thousands of people across the globe of all ages to use them daily to improve overall health and well-being. “Taking 20 minutes to lay on a Shakti Mat is a chance for people to unwind and take time out for themselves while their body relaxes. It’s that self-care that we are so passionate about,” Jon explains. 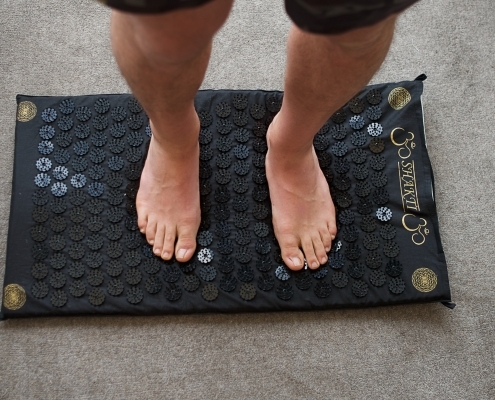 Lying on a bed of nails might seem odd to most, but company directors Jon and George owe the success of Shakti Mat to the plenty of sterling testimonials and reviews they’ve received on social media from customers surprised about the pleasantness of the feeling and the effects that they have noticed. 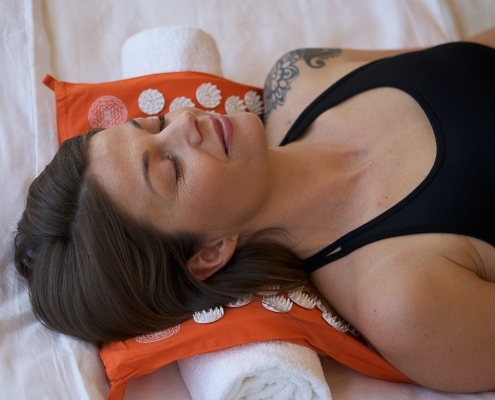 The Shakti Mat simply allows for easy self-treatment at the price of a single deep tissue massage. “The effects are usually noticeable during the very first try, and after the initial discomfort it people are surprised about how pleasant the feeling is. With regular use the benefits compound and it becomes an incredible daily habit,” Jon commented. Two years ago, the pair struggled to sell five mats a week from the back of a tent in South Auckland. Fast forward to today and the Kiwi entrepreneurs have launched the budding business into a growing global enterprise out of a warehouse in Christchurch, alongside a closely integrated team of twelve employees. The idea for the business venture was sparked almost four years ago, after a chance encounter with Swedish yogi, Om Mokshananda, Jon and George discovered it had a strong following in Sweden, where a staggering 10% of the population own a Shakti Mat. 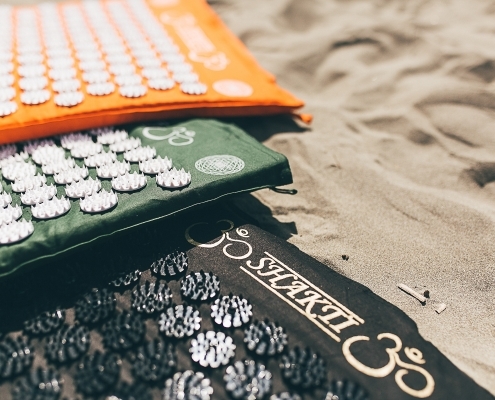 Blown away by the concept and strong ethics behind the Shakti name, the pair decided to bring Shakti Mats to New Zealand in 2014. “We saw a chance to introduce it to Australia and New Zealand and we took it. 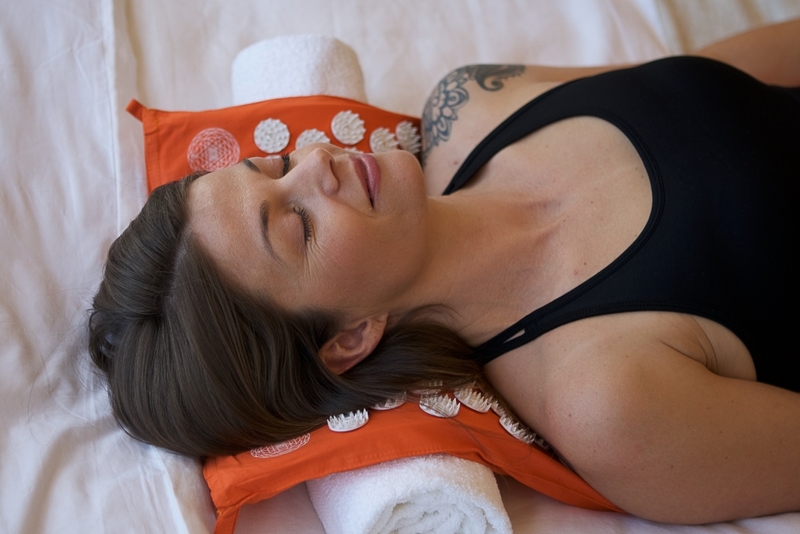 There is an awakening around people wanting to make better decisions about their physical and mental health and Shakti Mat is a natural health tool that helps support relaxation, big or small,” says Jon. Serious about the success of the business, Jon and George were regular fixtures at every health and wellbeing expo across New Zealand, living from their car and sleeping where they could. Shakti had built considerable momentum amongst the yoga community and was going from strength to strength in both sales and exposure, with glowing testimonials from renowned digital influencers, leading health professionals, top-tier rugby teams and other sports stars among its fans. With Shakti going global, Jon and George are also working hard to expand the Shakti Mats’ charity workshop in Varanasi, India, to provide ongoing support to these incredible women who make Shakti Mats by hand with good pay, good working hours, weekly doctor visits and free healthcare for them and their families.